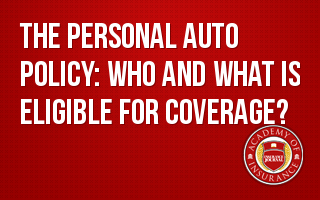 Who is eligible for a personal auto policy and what vehicle types are eligible for coverage? Endorsements available to expand eligibility. This class is approximately 15 minutes.